The unique sound of the Jazzmaster is back. 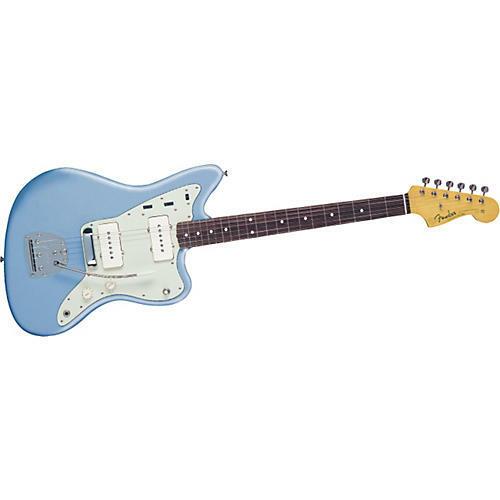 You heard the Fender '62 Jazzmaster Electric Guitar on numerous surf and rock instrumentals in the '60s, new-wave chart-toppers in the '70s, and alternative hits in the '80s. Now it's ready for the millennium. 2 vintage soapbar pickups. Contoured alder body with offset waist. 21-fret rosewood fingerboard. Switchable lead and rhythm circuits. Floating tremolo with Tremolo-Lock. One-piece maple neck. A classic sound of rock guitar history can be yours.